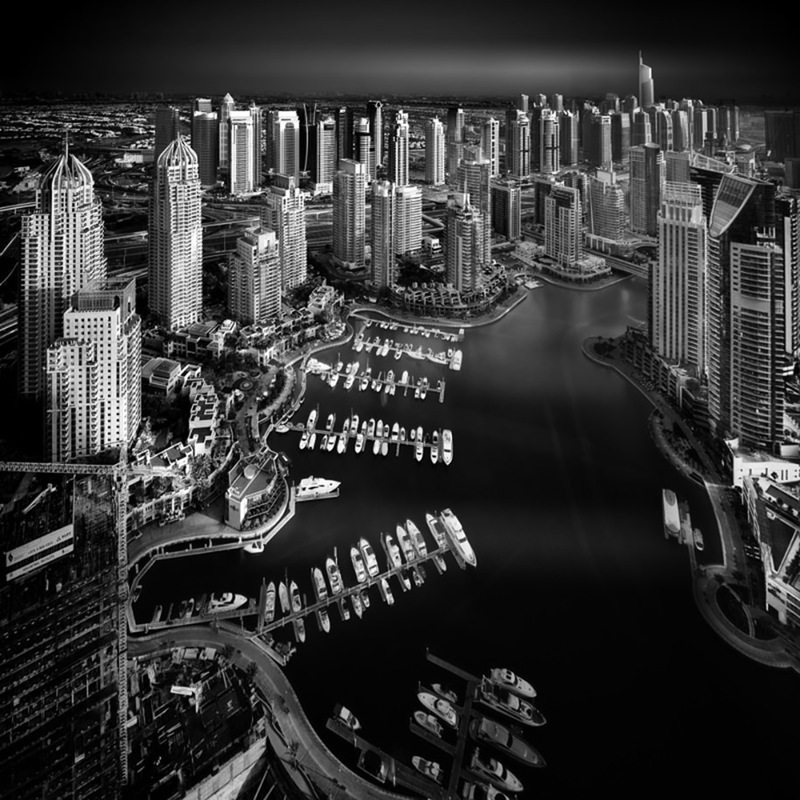 Pygmalion Karatzas Presents the Best of "Prix de la Photographie Paris Awards 2017"
The “Prix de la Photographie Paris” (Px3) strives to promote the appreciation of photography, to discover emerging talent, and introduce photographers from around the world to the artistic community of Paris. 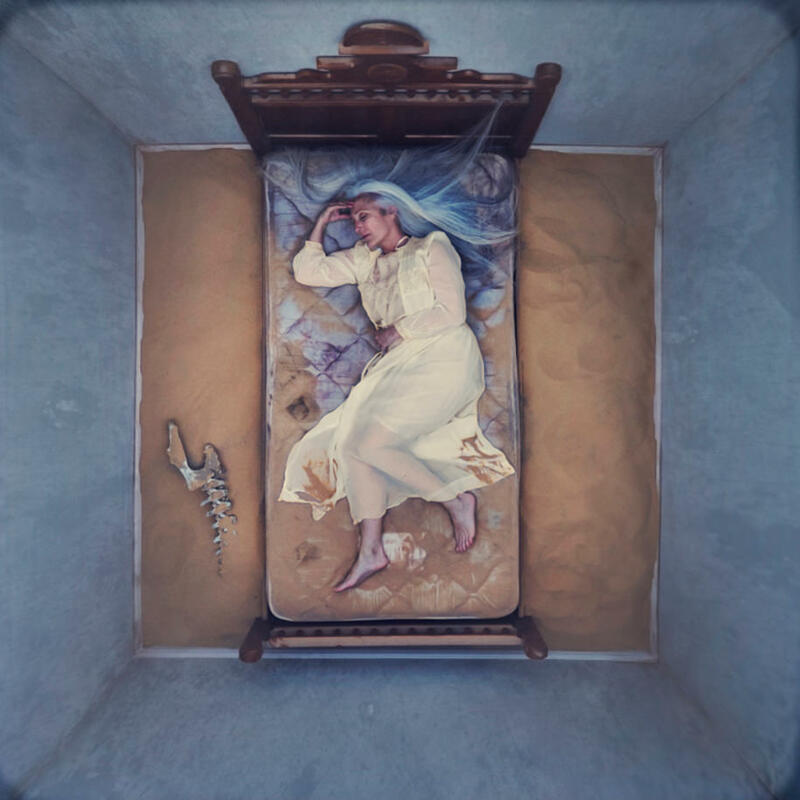 Winning photographs from this competition are exhibited in a high-profile gallery in Paris and published in the high-quality, full-color “Prix de la Photographie Paris” Annual Book. The competition is juried by top international decision-makers in the photography industry: Carol Johnson, Curator of Photography of Library of Congress, Washington D.C.; Mark Heflin, Director of American Illustration + American Photography, New York; Alice Gabriner, World Picture Editor of Time Magazine, New York, Natalie Johnson, Features Editor of Digital Photographer Magazine, London; Photo Editor of Corriere della Sera Magazine, Italy; Arnaud Adida, Director of Acte 2 Gallery/Agency, Paris; Jeannette Mariani, Director of 13 Sévigné Gallery, Paris; Bernard Utudjian, Director of Galerie Polaris, Paris – among others. 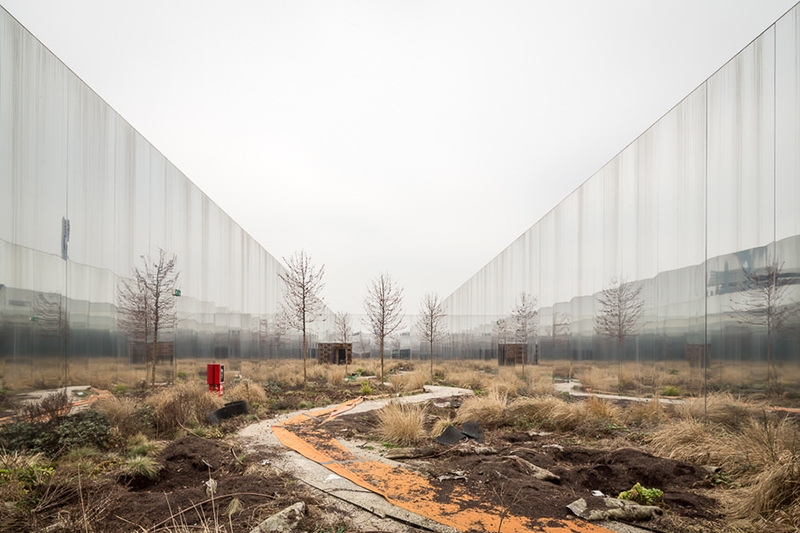 This year thousands of entries from over 85 countries were submitted and a selection of some of the winners and honorable mentions are presented here from the categories of advertising/architecture, book series, and fine art. Along with SWPO, IPA, FAPA and Architizer, “Prix de la Photographie Paris” is one of the leading industry institution that since 2007 creates a multimedia platform for contemporary artistic photography to reach a wider audience and celebrate outstanding achievements in all genres and styles of the medium. 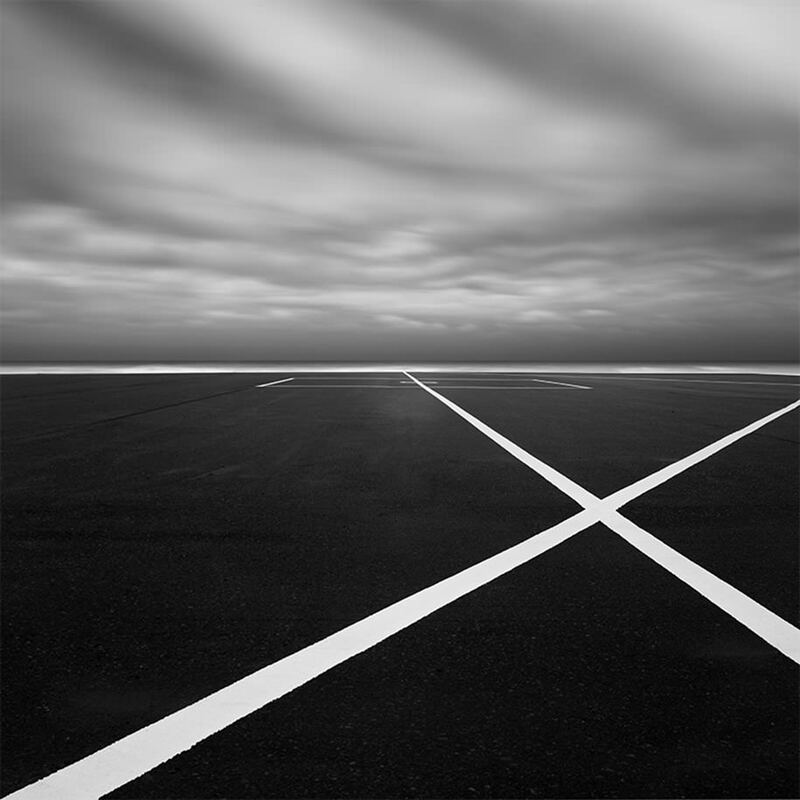 For the judging process the “Prix de la Photographie Paris” first pre-screens all entries and then the external panel of experts rates each entry for one to hundred. The scores are then tallied to reveal the winners. The viewing criteria include originality, creativity, excellence of execution, and overall impact. 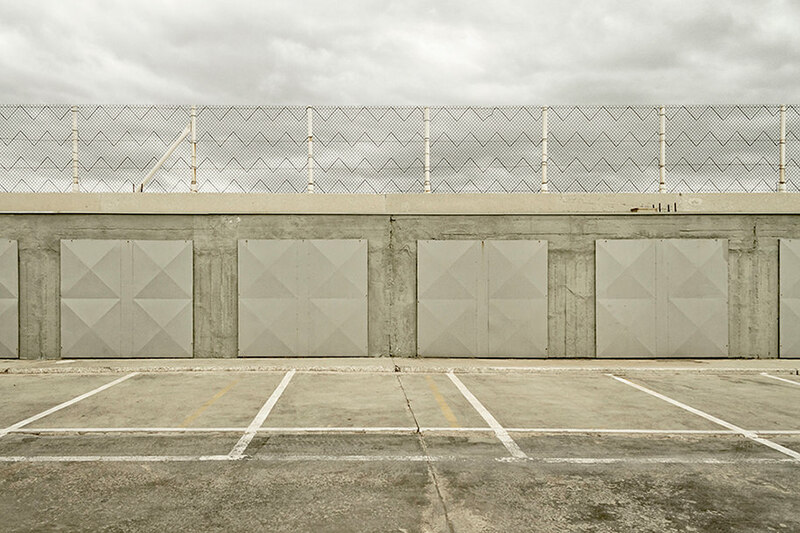 Ben Thomas [1st Place] from Australia with the series “Chorma II” deconstructs urban scenes with a primary focus on color and flatness that poses questions of how society defines the places we live in. 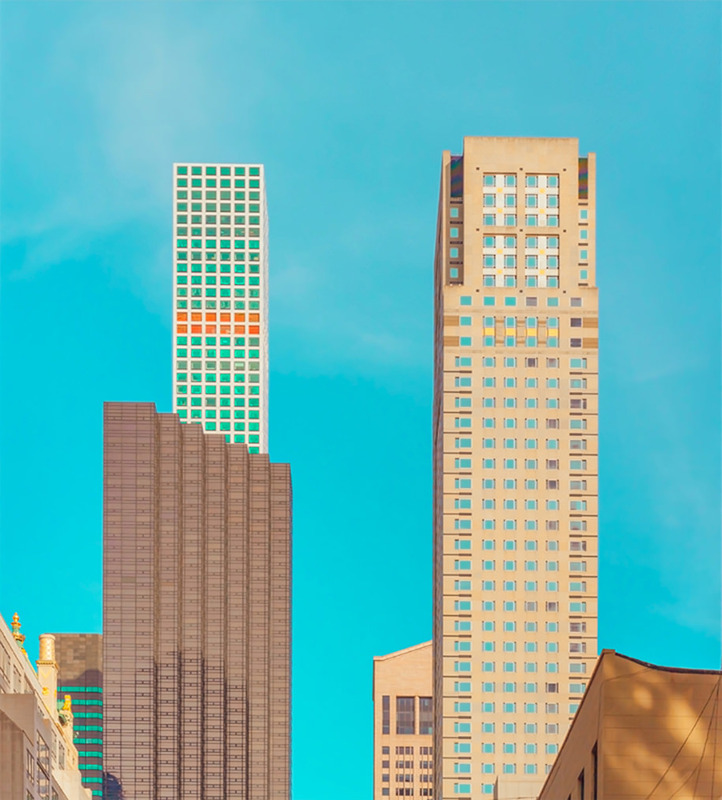 He uses the tilt-shift and kaleidoscopic techniques to highlight repeating patterns and objects that act as the basis for our urban surroundings. 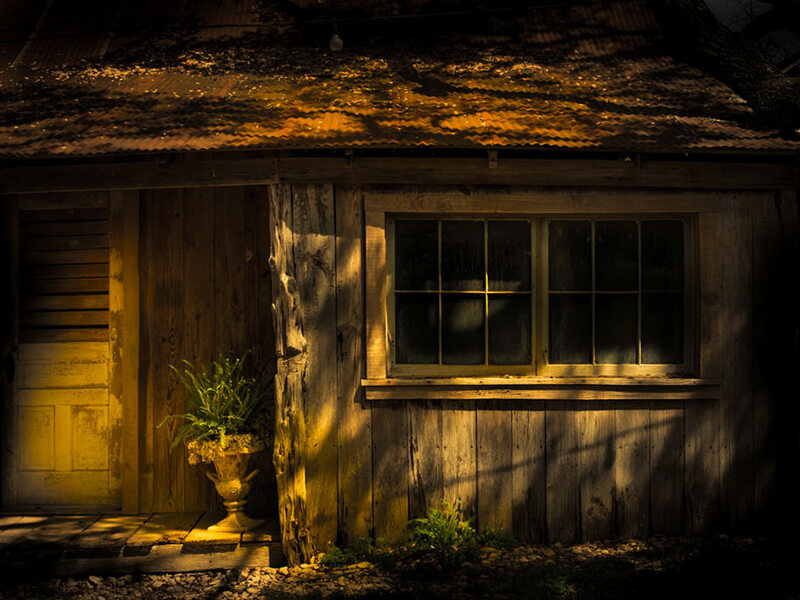 Bev Pettit [1st Place] from United States with the series ‘Texas Americana’ brings us a more intimate study of rural dwellings and cityscapes from Texas with saturated and high-contrast images reminiscent of old card postals. 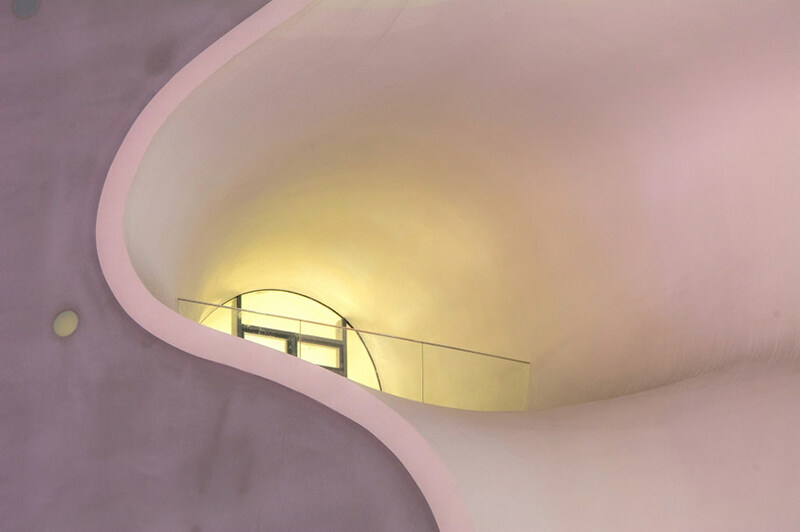 Mei Chyi Chou [2nd Place] from Taiwan with the series ‘the curve of architecture’ presents an abstract study of Taichung Metropolitan Opera House by architect Toyo Ito. 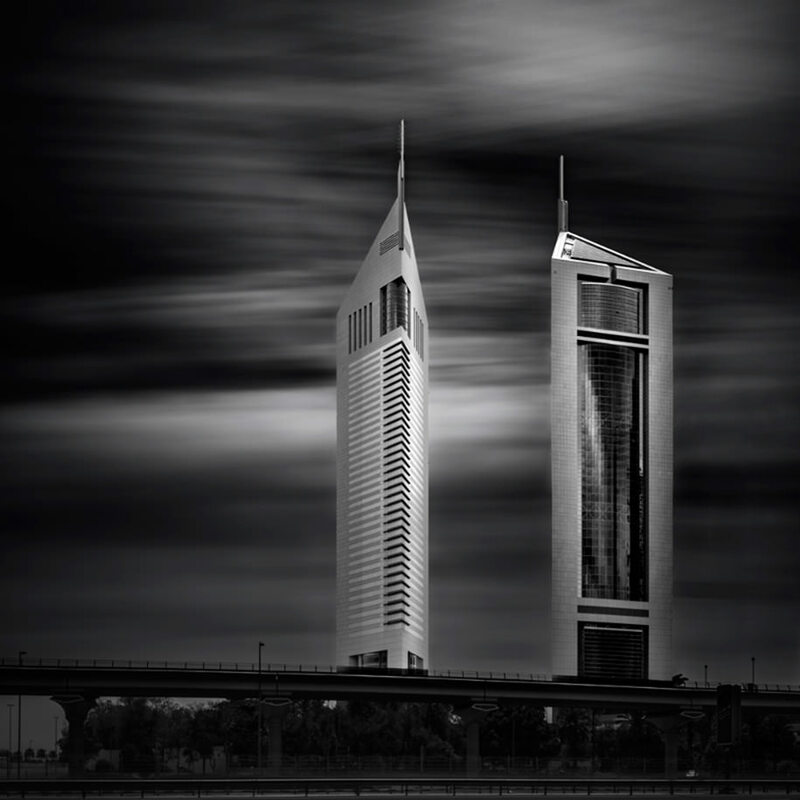 Nune Karamyan [2nd Place] from United States with the series ‘Futuristic’ uses the long exposure technique to emphasise the fleeting time and accentuate the attention on shapes and light from buildings and cityscapes from United Arab Emirates. 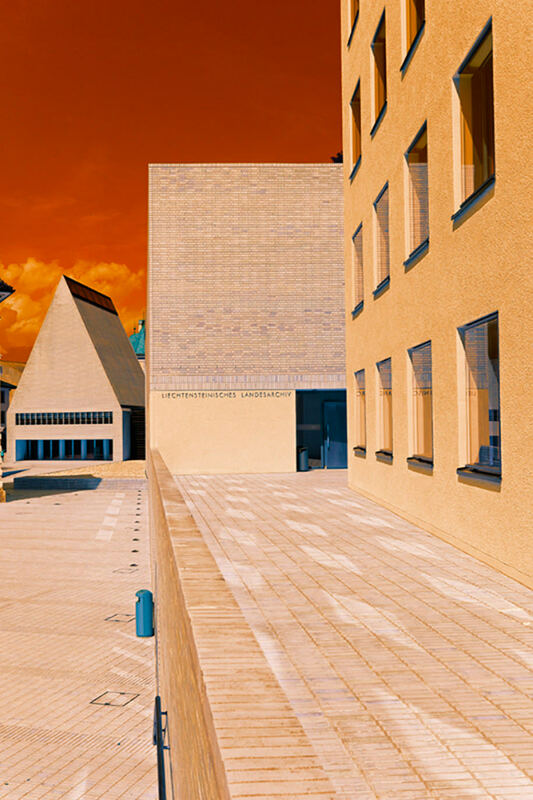 Andrea Belloni [3rd Place] from Italy with the series ‘Surreal architectures’ presents a set of urban scenes from Vaduz and Monaco with ultra color post-processing to create a highly graphic atmosphere. 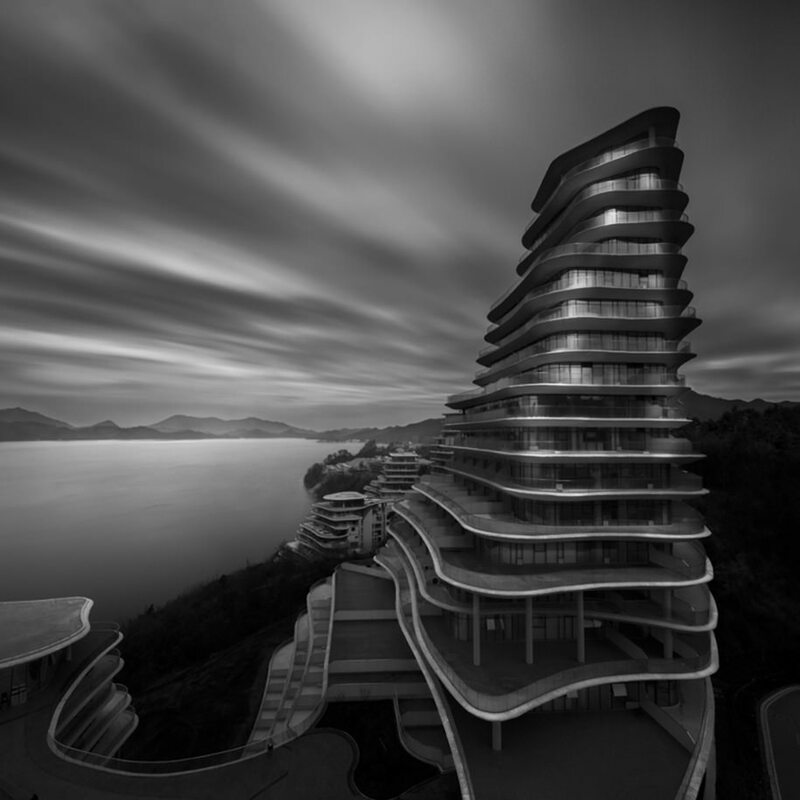 Moises Levy [3rd Place] from Mexico with the series ‘Huangshan’ presents a long exposure study of Ma Yansong’s Huangshan Mountain Village designed by MAD Architects. Sebastian Weiss [3rd Place] from Germany with the series ‘Dramatis personae’ represents public faces that deliberately restrains the identity of the object in order to concentrate on its public performance. 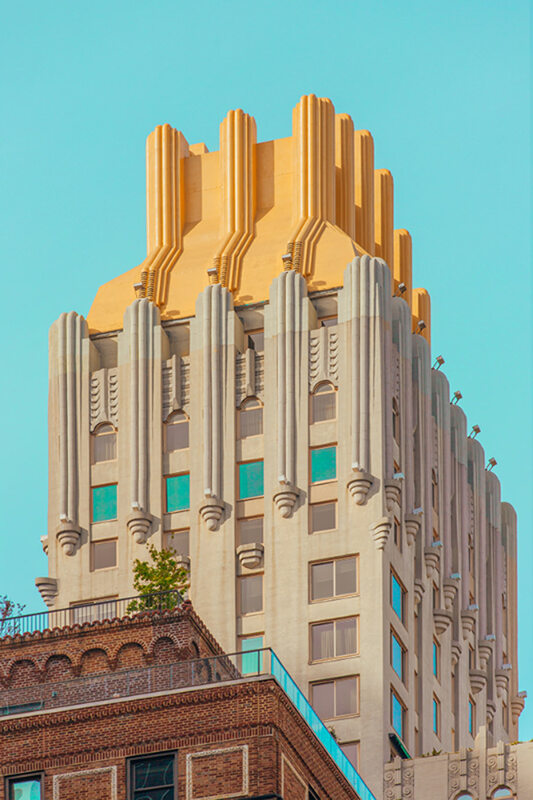 It is intended to emphasise the unique and individual appearance of buildings which act as strong personalities in the public realm. 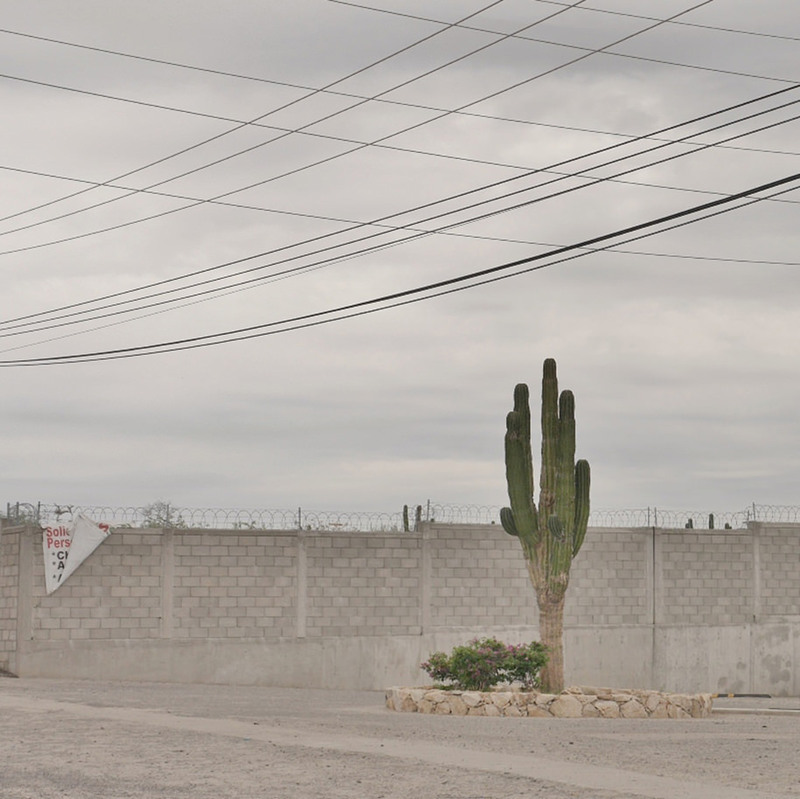 Emmanuel Monzon [1st Place] from United States with the book ‘Urban sprawl, emptiness-walls’, focuses on the expansion of the urban periphery with an aesthetic of banality and emptiness: a precise geometrical organization, a ban on living objects, and the revelation of a specific physical and mental landscape blurring the lines between city and suburb, between suburb and countryside. 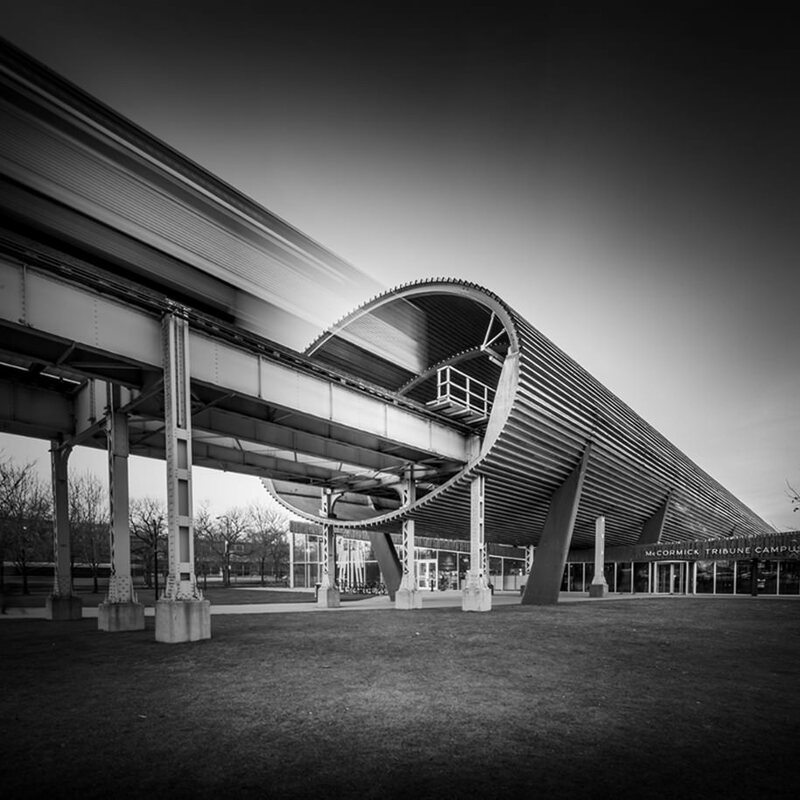 Pygmalion Karatzas [3rd Place] from Greece with the book ‘Integral Lens’ presents a visual journey of contemporary architecture and cityscapes from United States. 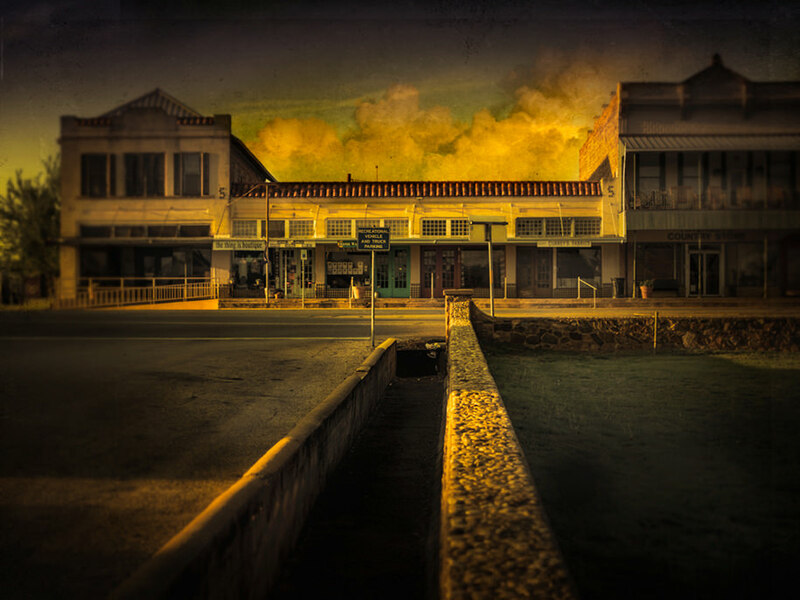 The proposed integral perspective pays homage to the major past and present genres of the field – from the early realists and pictorialists to the postmodernists and editorialists; and combined together they intent to highlight broader functions of the historic relationship between architecture and photography and establishing an expressive dialogue with the contemporary urban landscape. 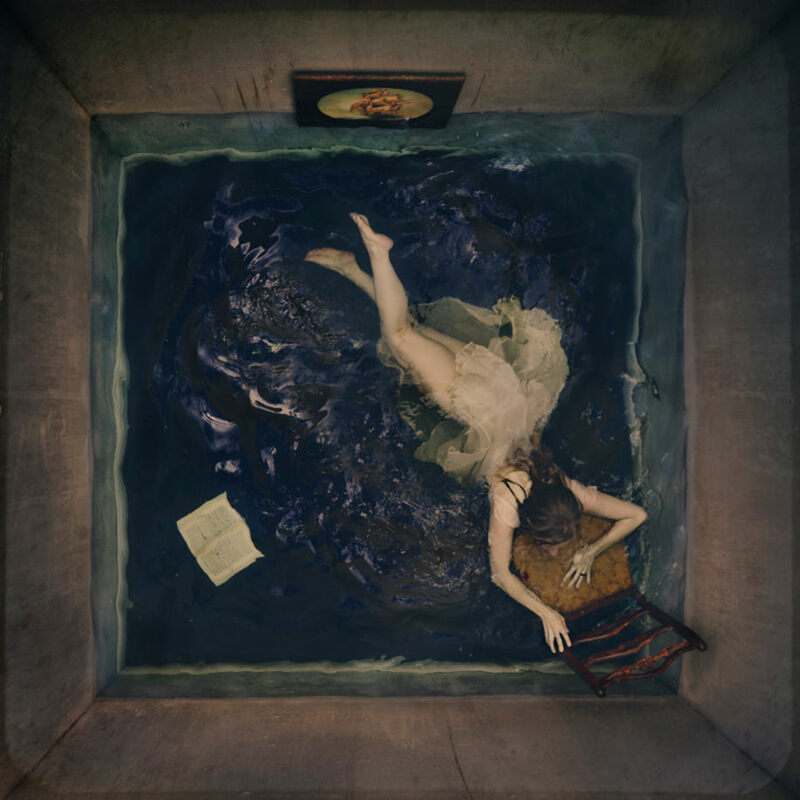 Brooke Shaden [1st Place] from United States with the series ‘Fourth Wall’ constructs by hand cinematic sets with no windows or doors and mounts the camera on the ceiling attached to a slider, in order to represent the “4th wall”, the break between camera and viewer, where the viewer becomes aware that the film is, in fact, a film. 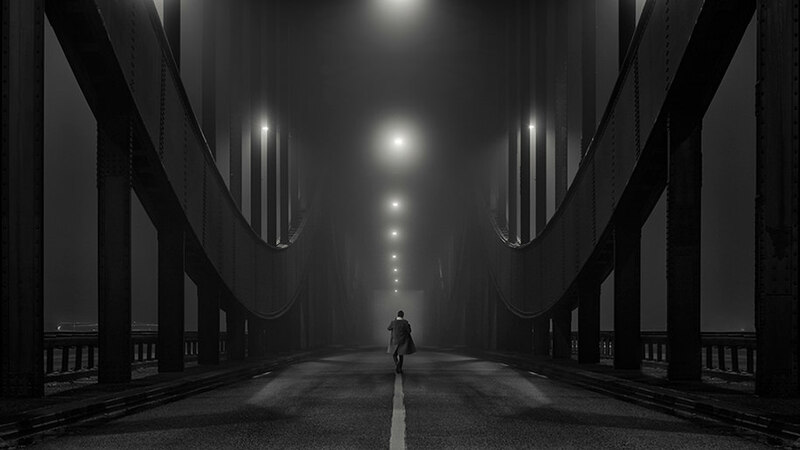 The carefully staged scenes attempt to portray the truth of loneliness, the feeling of being alone despite being surrounded by unimaginable masses. 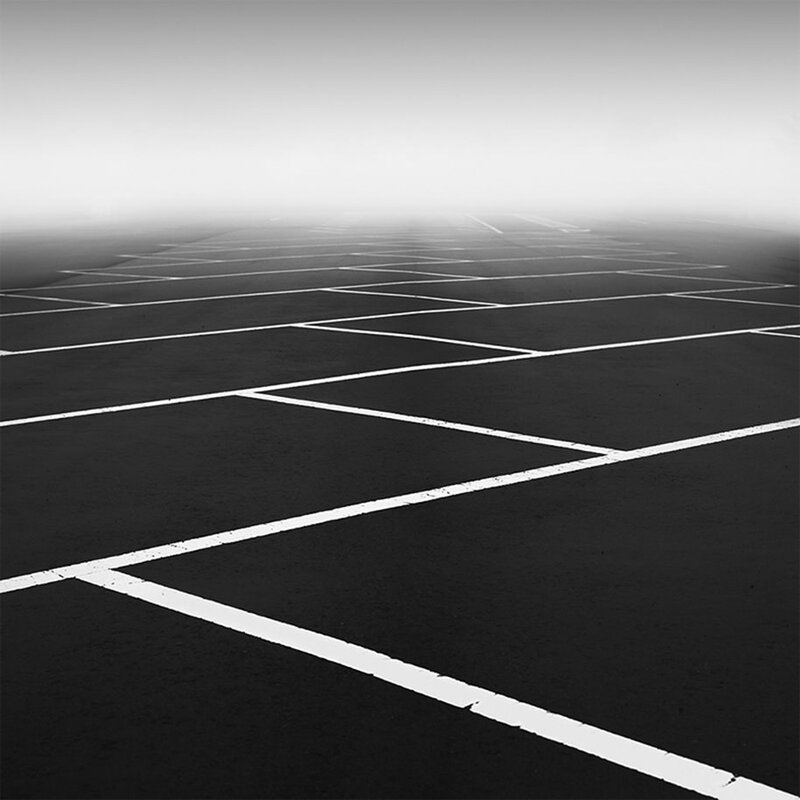 Hironori Nakamura [1st Place] from Japan with the series ‘Rhythm’ focuses on the visual minimalistic rhythm brought by sequential patterns and elegant contrast found in parking lots. 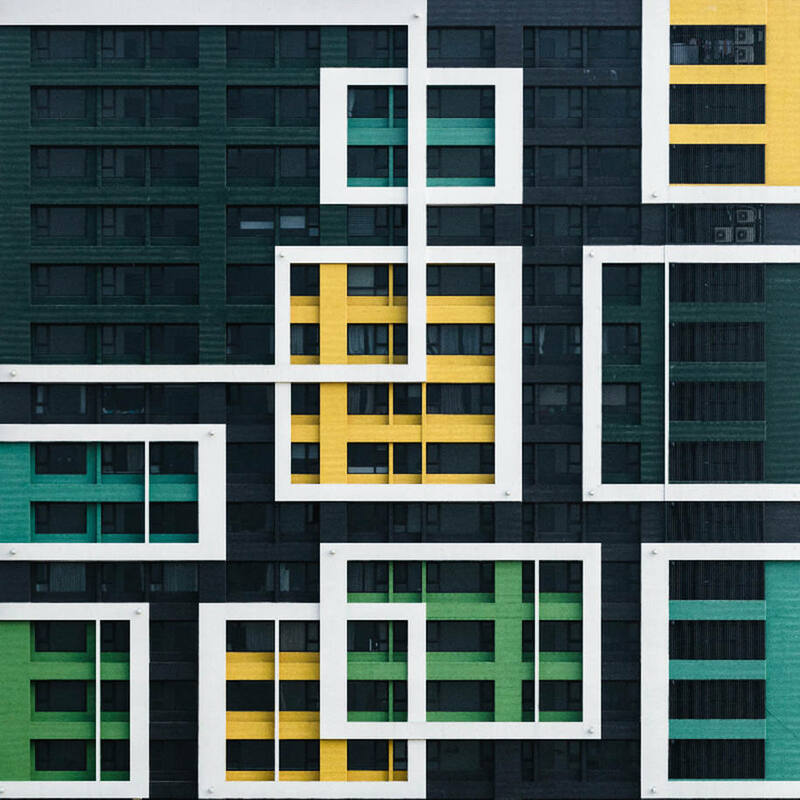 Yi-Hsien Lee [3rd Place] from Taiwan with the series ‘A Nordic Way’ presents fragments of facades from the cityscape of his hometown. 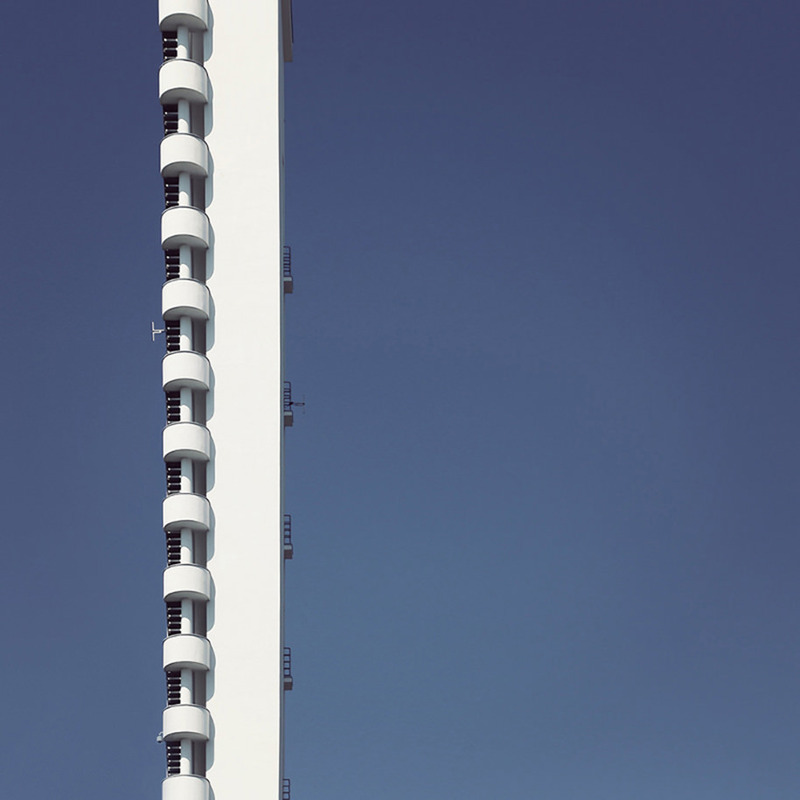 Miltiadis Igglezos [3rd Place] from Greece with the series ‘Flisvos Marina’ gives us detached topographic glimpses of a waterfront neighbourhood in Athens that has gone through stages of urban regeneration from 2004 Olympic Games to the present. 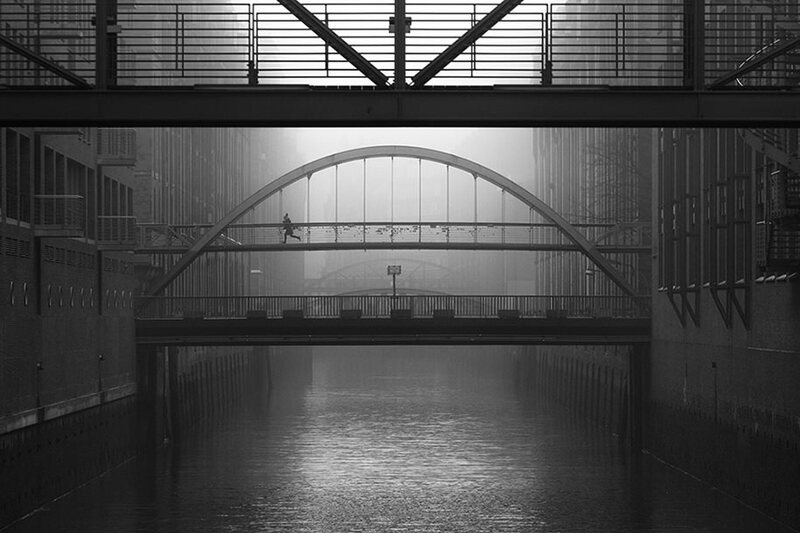 Alexander Schönberg [1st Place] from Germany with the series ‘urban melancholy’ explores the strong symbolism of the bridges of Hamburg utilising the atmosphere of mist and individual moving people. 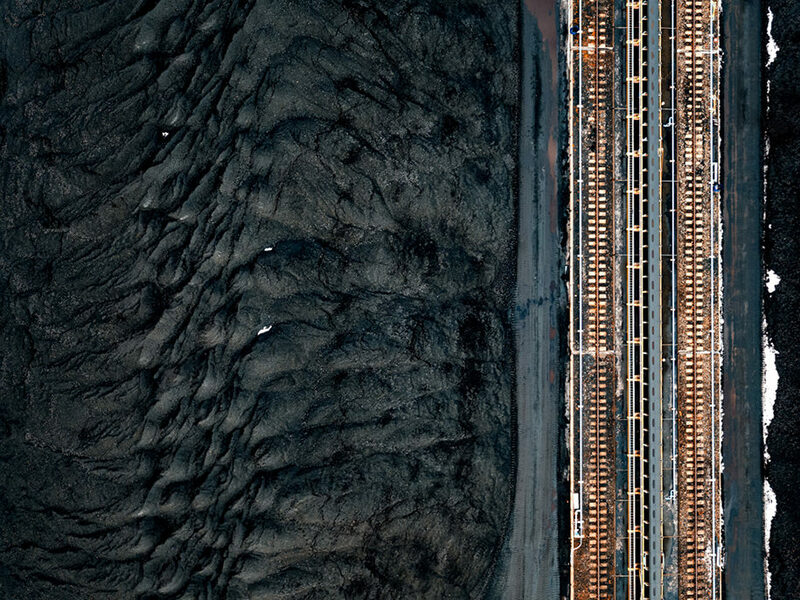 Chris McCann [3rd Place] from United States with the series ‘Fossil Fuel II’ captures from above the mountains upon mountains of coal which feed into the Tomato-Atsuma Power Station of Tomakomai in Hokkaido, powering the equivalent of 800,000 homes per year and producing 10,000,000 tons of carbon dioxide per year. 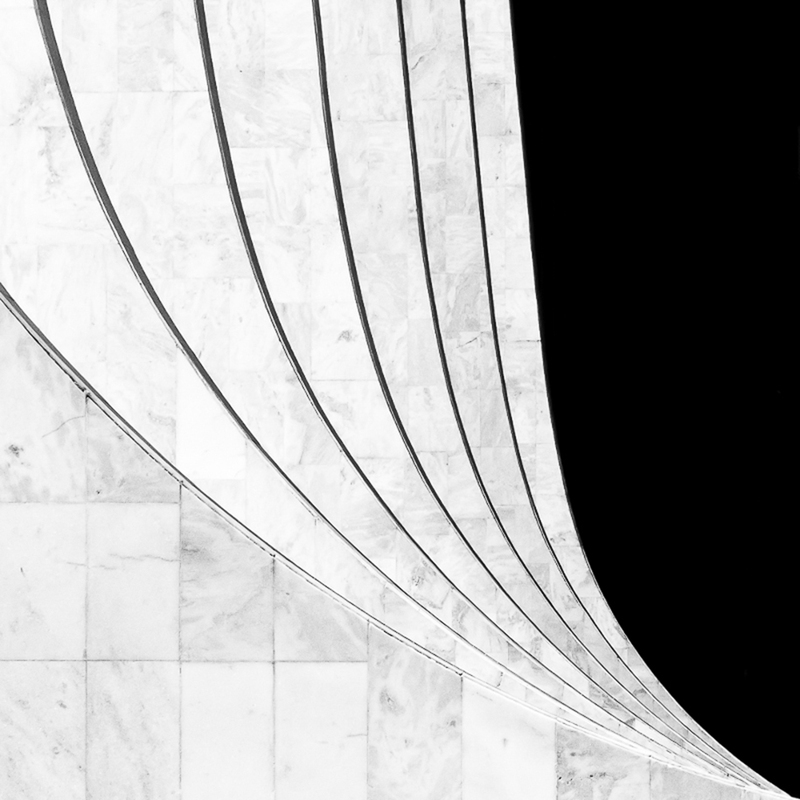 Jose Roberto Bassul [1st Place] from Brazil with the series ‘Abstract concrete’ pays a homage to architect Oscar Niemeyer. 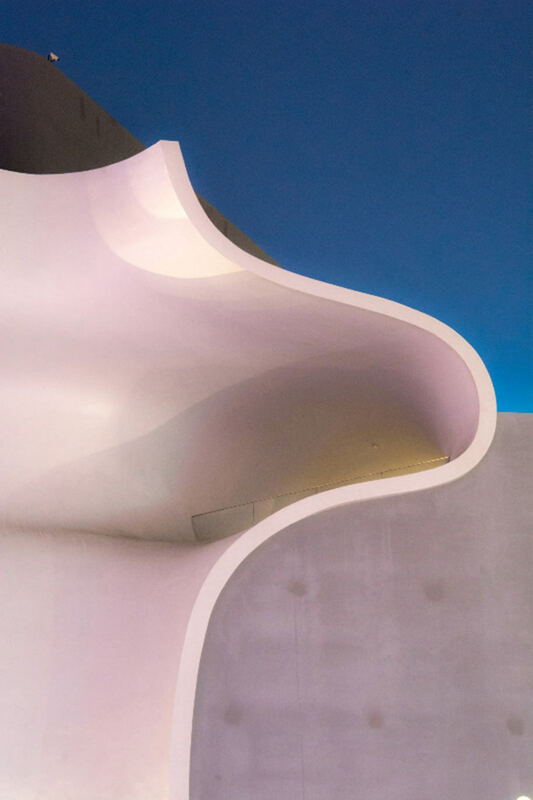 Formed only by curves and minimalist lines, almost abstract, the images are articulated by two references: the concretist movement in Brazilian art, and the creative process of the architect, who used to synthesise his ideas with a few lines on a sheet of paper. 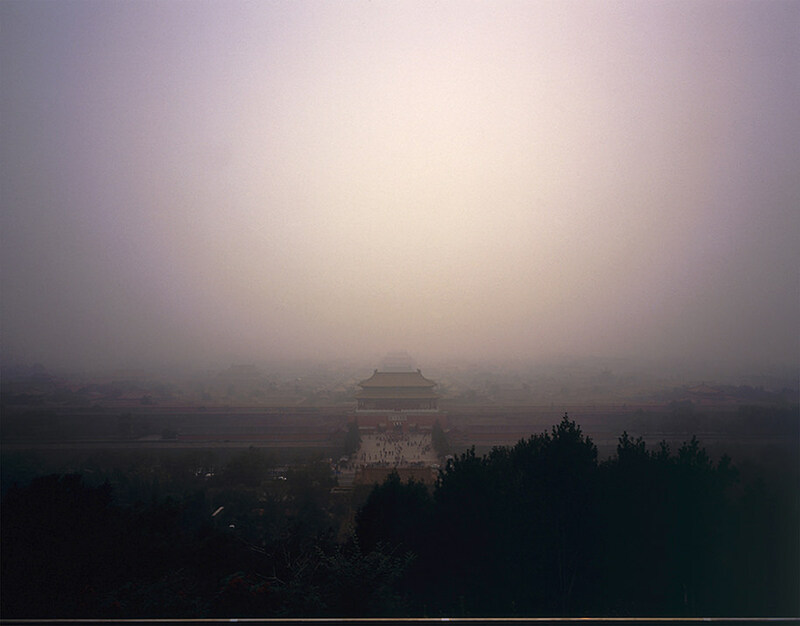 Montague Fendt [1st Place] from China with the series ‘AQI’ captures the strange beauty within the smog of Beijing. AQI is a scale from 0-500 measuring the pollution particles in the air. An average day in Switzerland reaches around 10, a polluted day in Los Angeles reaches as high as 120. 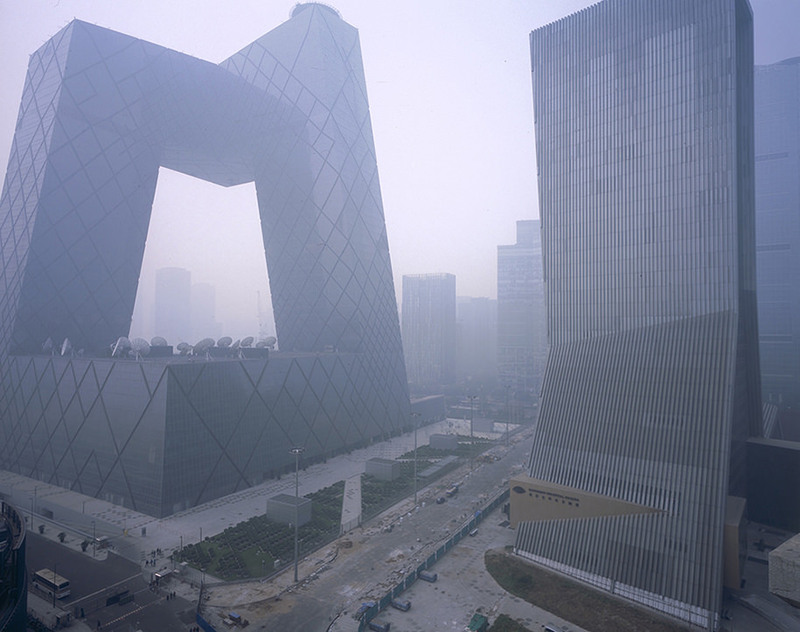 The yearly average in Beijing is 179 with some record values of 879. 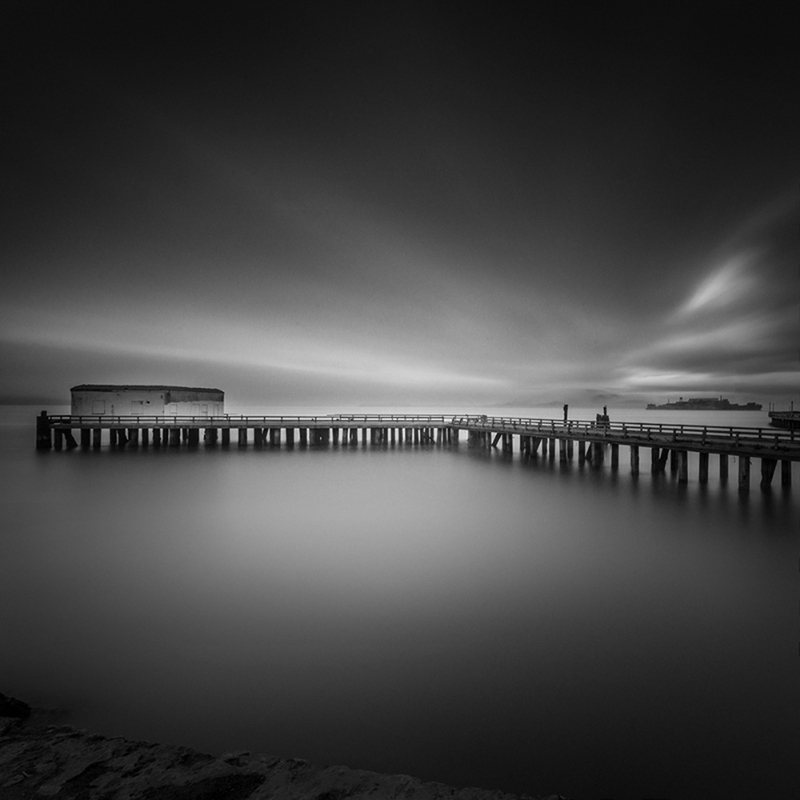 As a result, a whole array of colors fill the sky, acidic orange, eerie green, faint yellow. Radio announces recommend for people to stay indoor, outdoor sports are not allowed, people close all windows, get the masks out and turn the air filters to the maximum. 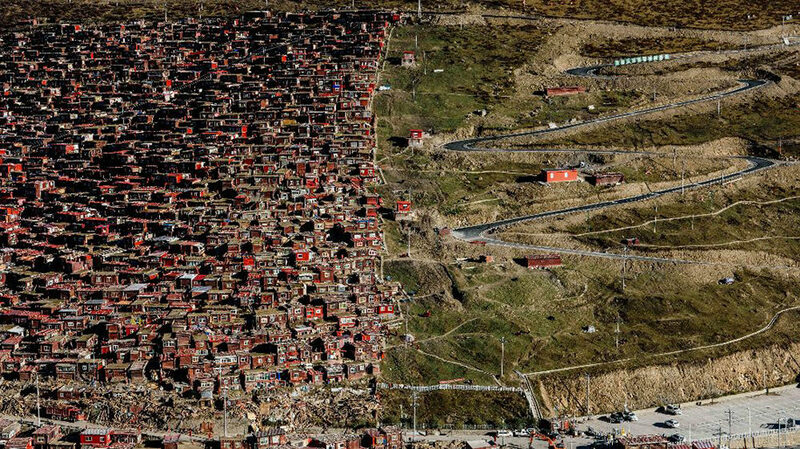 Tam Ming Keug [1st Place] from Hong Kong with the series ‘Going to disappear of Sertar as persecution’ shows the scenes of destruction of Sertar under Chinese government political and religious persecution. 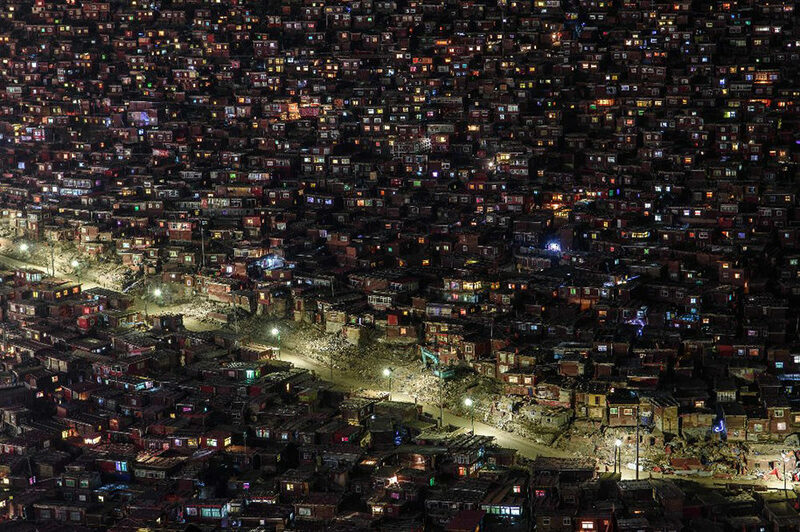 Despite its remote location, it grew from a handful of disciplines gathering in Khenpo’s house, to be one of the largest and most influential centres for the study of Tibetan Buddhism in the world, numbering to nearly 10,000 monks, nuns and lay disciples by the year 2000. With mass demolition and their freedom suppressed, it may be the last scene of Sertar. 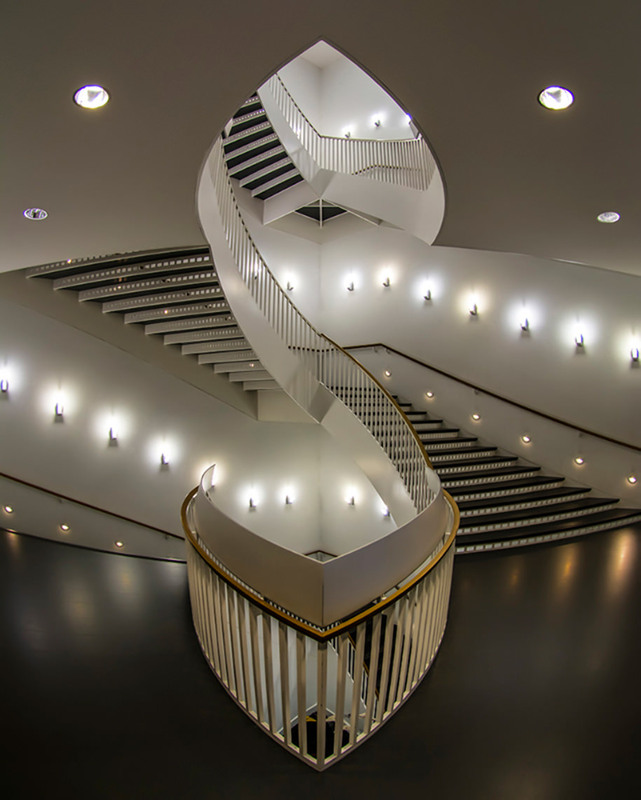 Simone Arrigoni [1st Place] from Italy with the series ‘Hypnotic escape’ presents a detail study of the staircase in the Museum of Contemporary Art in Chicago with unusual camera angles to simultaneously play with its shapes and light, and create Escher-like views. 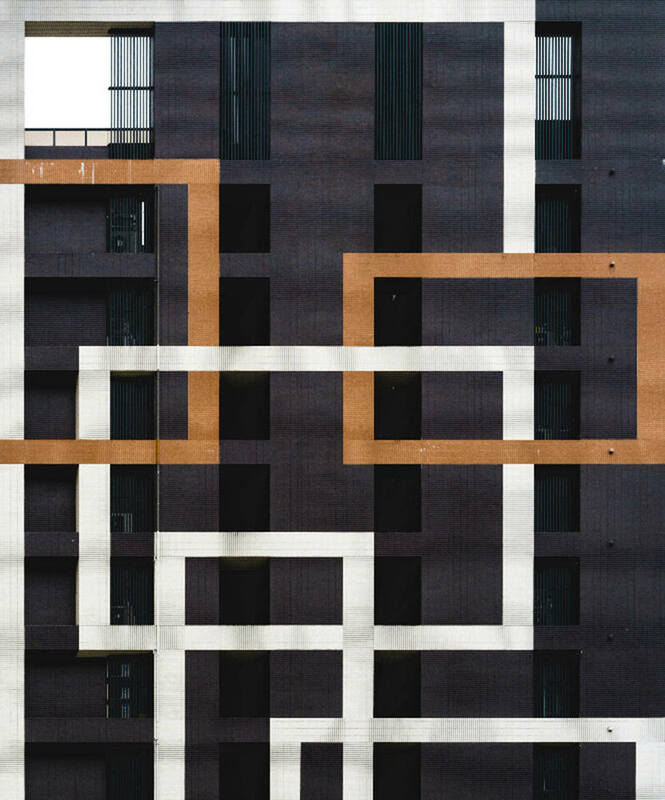 Filippo Poli [honorable mention] from Spain with the series ‘Expo dismantling’ resisted the EXPO Milano 2015 after the event was finished. The countries were committed to leave the plots as they received them, but many buildings were being destroyed instead of dismantled. The site seemed to be a post-atomic landscape with the metal devouring machines and giant saws. 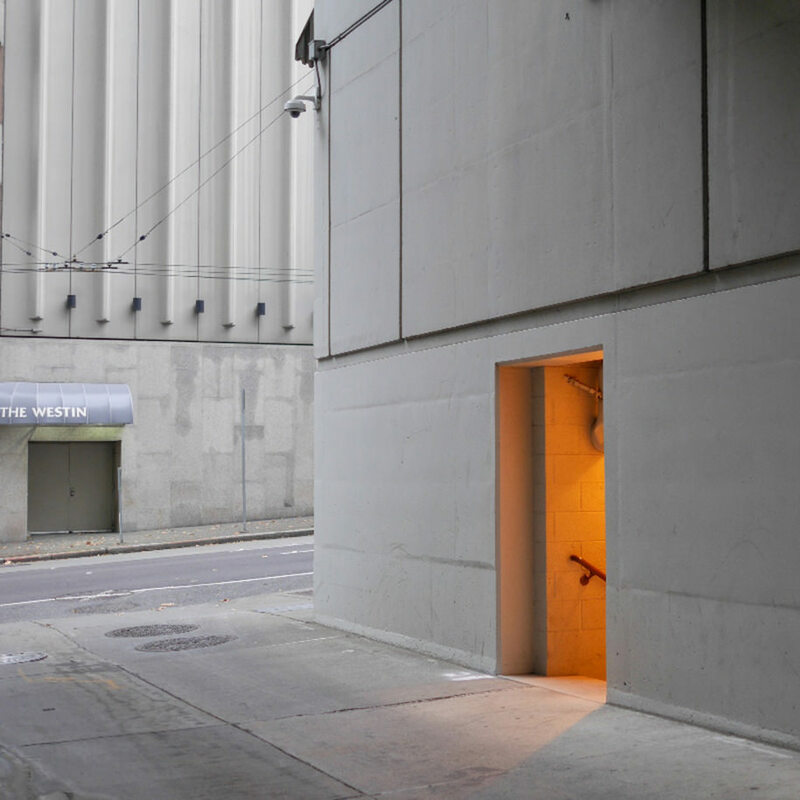 This last phase of the expo raises some questions about the meaning of such events. 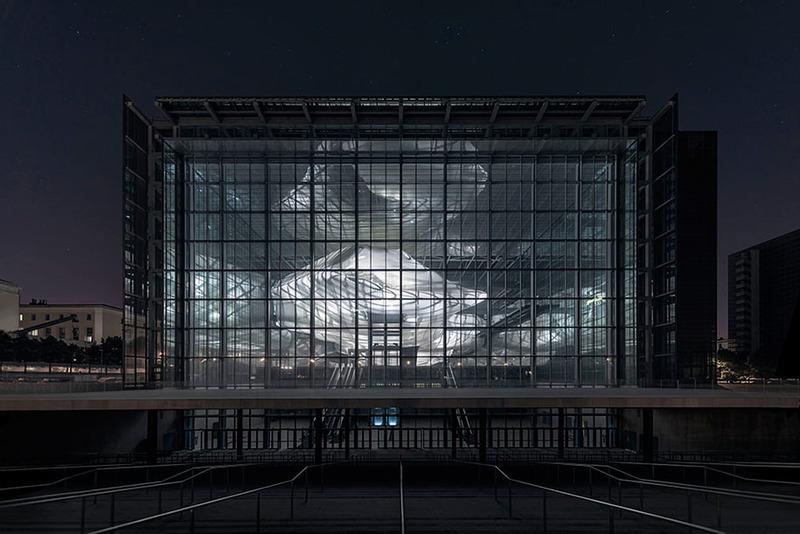 Maurizio Marcato [honorable mention] from Italy with the series ‘Interior Photo’ presents a study of Massimiliano Fuksas’ architectural work capturing the light shadows and the steel soul. 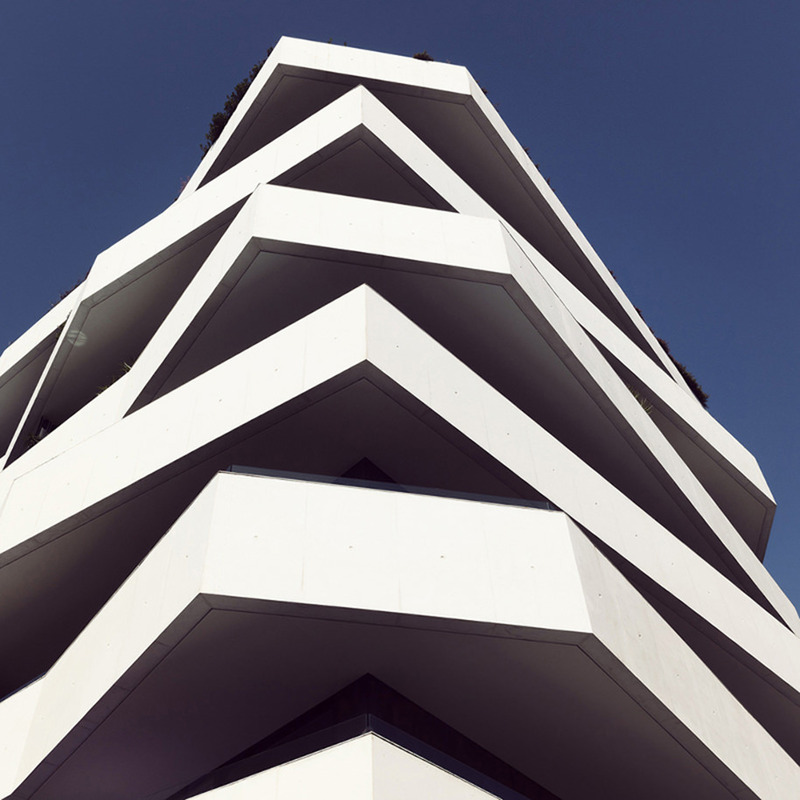 Tony McAteer [honorable mention] from United Kingdom with the series ‘China, flat-pack 2’ looks at the wholesale remodelling of Chinese cities into hubs of commerce. 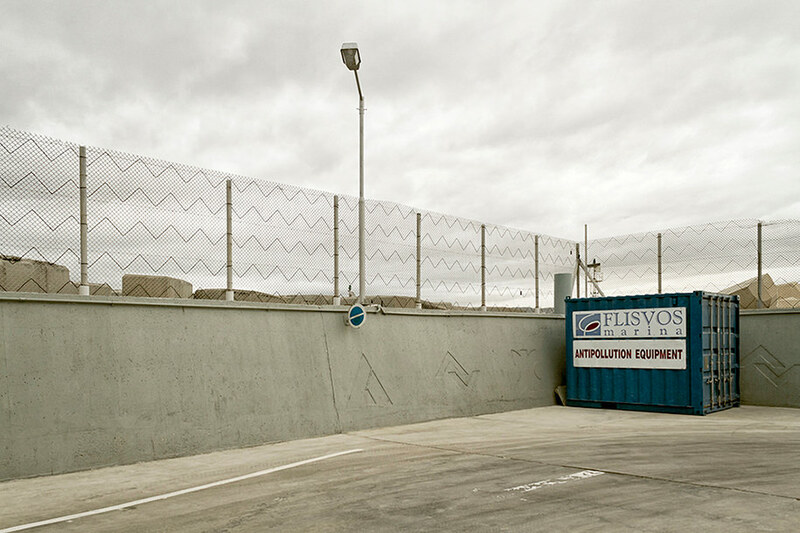 The photos look through the hoardings of demolition and construction sites. With their bright consumerist aesthetic tightly cropping and framing the construction works taking place behind them. 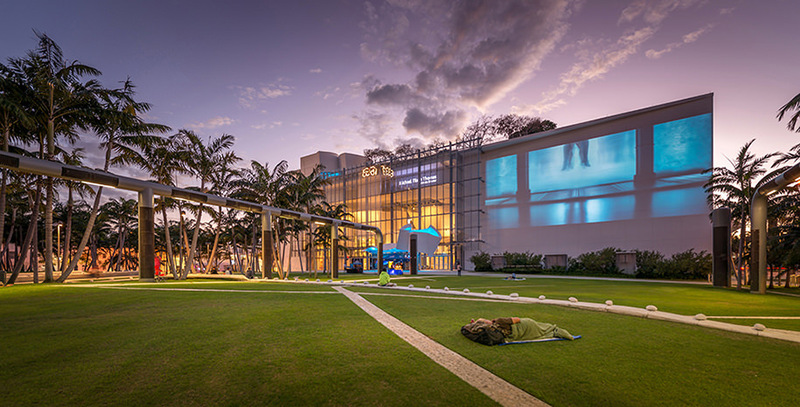 Pygmalion Karatzas [honorable mention] from Greece with the project ‘New World Symphony Hall’ presents a study of the new concert hall in Miami Beach designed by Frank Gehry. 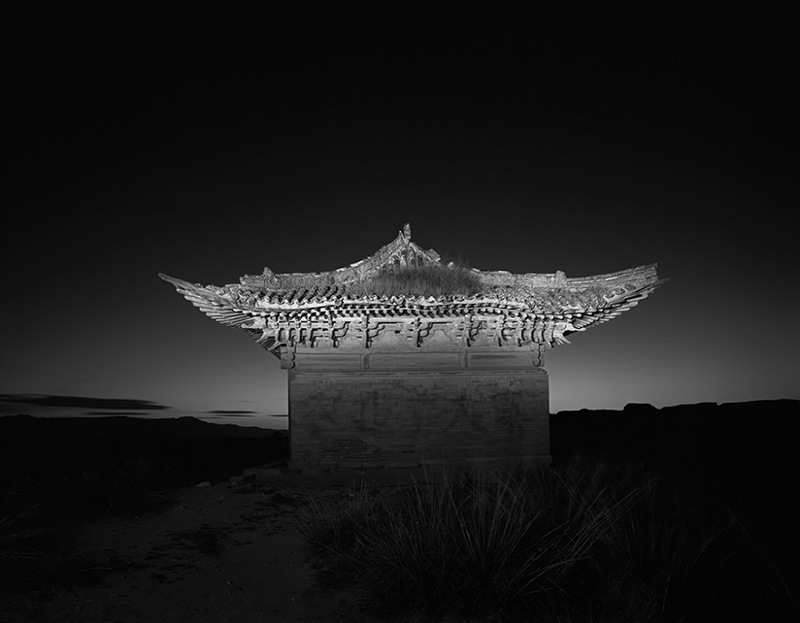 Zhao Gang [honorable mention] from China with the series ‘Traces of civilization’ is interested in ancient relics as visible history and vehicles of time. During the transient time of dusk the brightness of sky and earth is captured as an atmosphere of eternity, refining the foreground items to pure existence as artefacts displayed in the landscape. 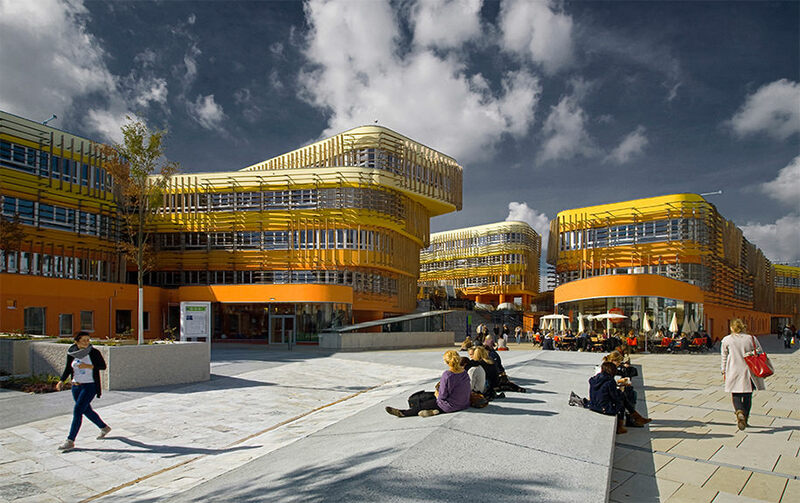 Ronald Kreimel [honorable mention] from Austria with the project ‘Vienna University by CRAB Studio’ present this new campus building that won the World Architecture Festival prize for most innovative exterior color scheme. 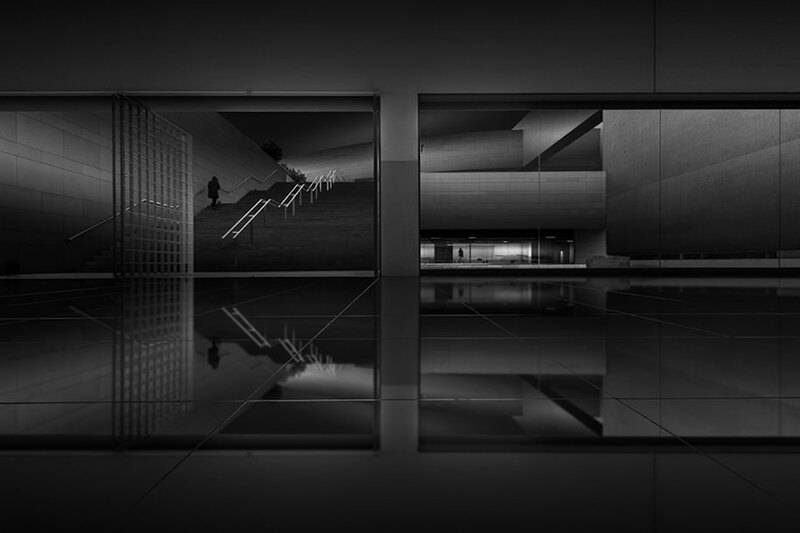 Franklin Neto [honorable mention] from Portugal with the series ‘The light of shadows’ uses darkness luminosity to show the more intimate aspects of the shadows inside lines and curves of Portuguese contemporary architecture.